Halloween parties can be fun and spooky, but they also require you to serve some delicious treats. 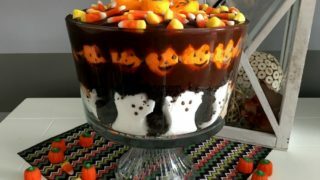 This Halloween Trifle is packed with Peeps and chocolate, but is so easy that anyone can make it. 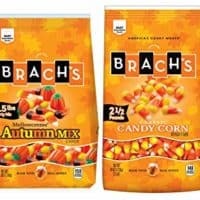 With all of the Halloween items in stores in July and August, grab the supplies you need early! Here’s how to get the Halloween party started! 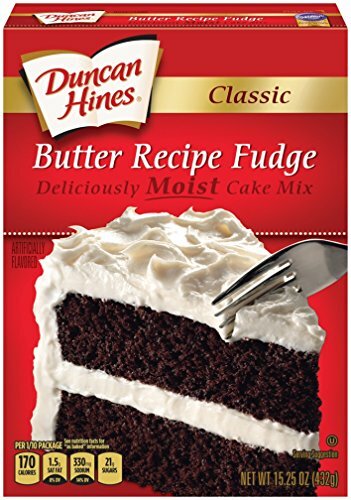 Prepare your chocolate fudge cake according to the directions on the box. 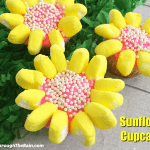 You can use Pillsbury, Duncan Hines or any other brand that you may find on sale or have handy. Once you’ve prepared it, allow the cake to cool completely. 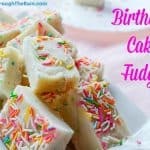 Slice your cake into small cubes. 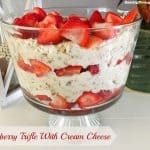 In a medium sized bowl, pour both boxes of instant pudding. Pour in the required milk (this should be 4 cups, but verify this on your specific box) and mix well. Refrigerate for five minutes to set. 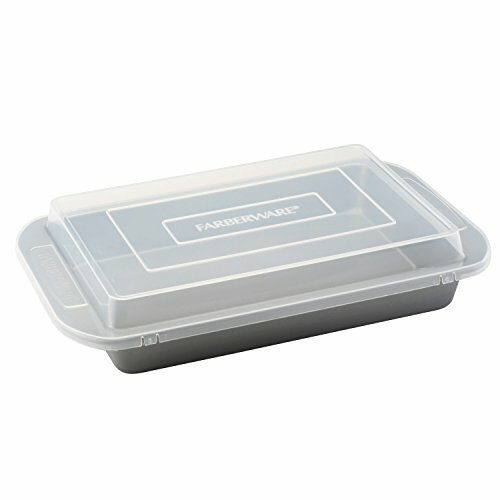 Line the bottom sides of your trifle dish with your ghost Peeps, leaving a small space in between each one. You’ll want them to be standing up and facing out of the dish. 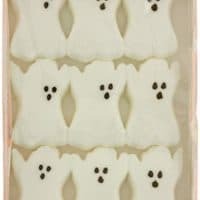 Fill the center of your ghosts layer with your chocolate cake cubes, filling the space in between all your ghosts as well as possible. Don’t be afraid to let the cake fall to smaller pieces. 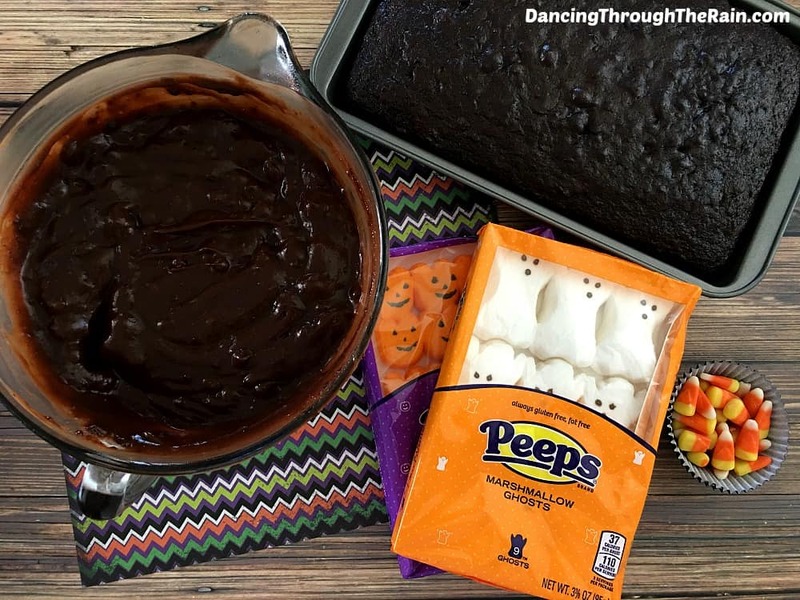 Place a layer of about 1/2 of your chocolate pudding onto your cake/Ghost Peeps. 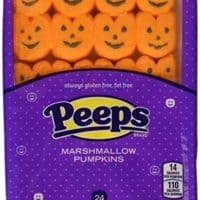 Now, line the sides of your trifle dish (on top of the pudding) with your Halloween pumpkin Peeps. 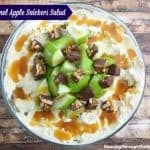 You’ll want them to be standing up and facing out of the dish. 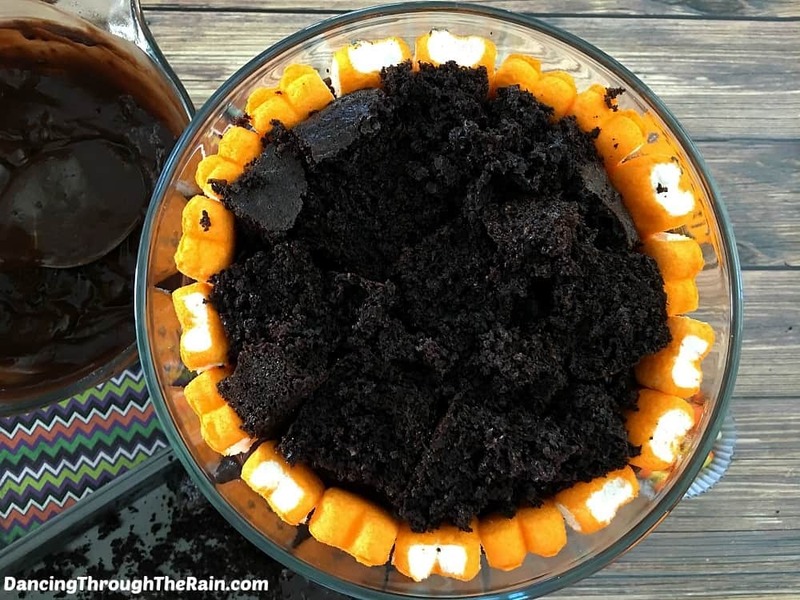 Fill the center with more cake cubes and top off with the rest of your chocolate pudding. Use the rest of your pumpkin Peeps to make a circle on the top center of your trifle. 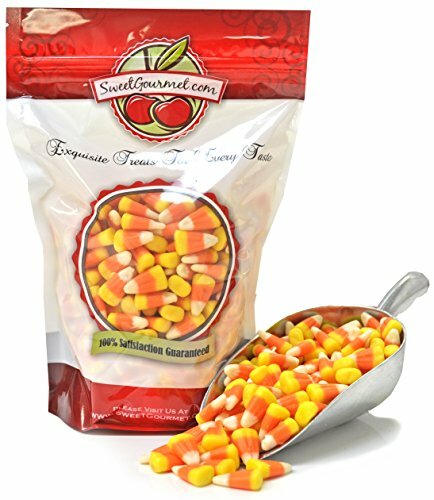 Fill the center with candy corn and sprinkle the candy corn around the pumpkin. 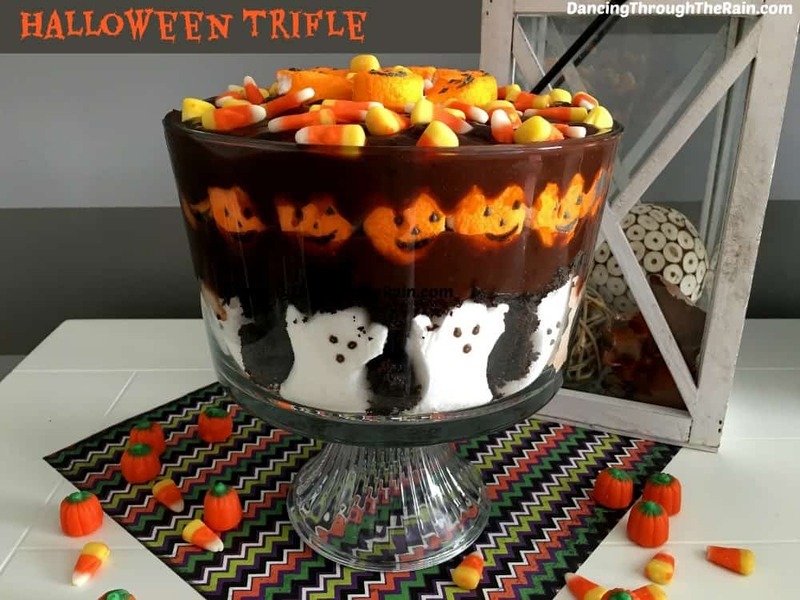 This Halloween Trifle dessert is very easy to make and makes for a fantastic Halloween food. 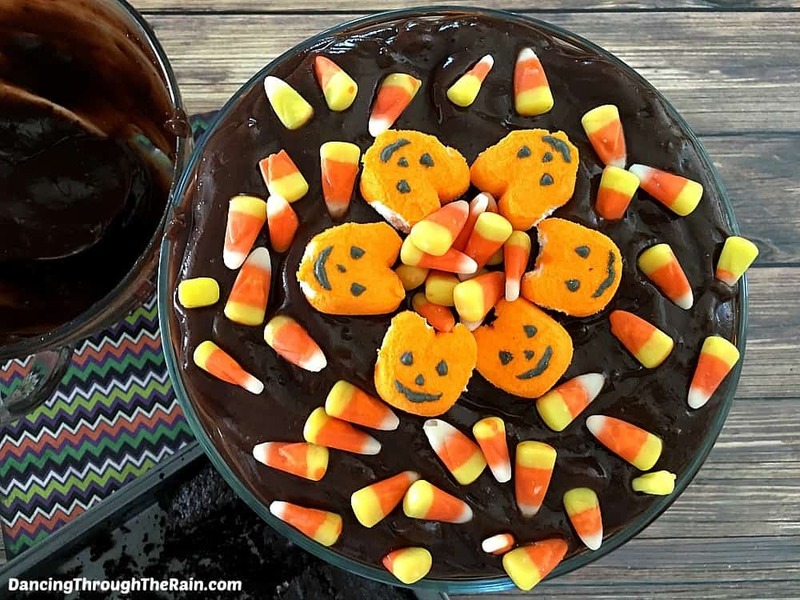 Let it be one of the Halloween recipes that will be at the centerpiece of your next party! Once you've prepared it, allow the cake to cool completely. Slice your cake into small cubes. 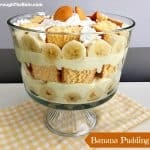 In a medium sized bowl, pour both boxes of instant pudding. Pour in the required milk (this should be 4 cups total, but verify this on your specific box) and mix well. Refrigerate for five minutes to set. 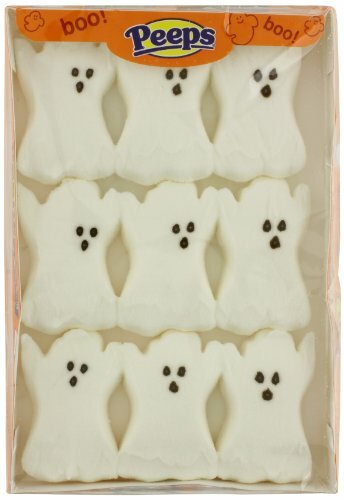 Line the bottom sides of your trifle dish with your ghost Peeps, leaving a small space in between each one. You'll want them to be standing up and facing out of the dish. Fill the center of your ghosts layer with your chocolate cake cubes, filling the space in between all your ghosts as well as possible. Don't be afraid to let the cake fall to smaller pieces. 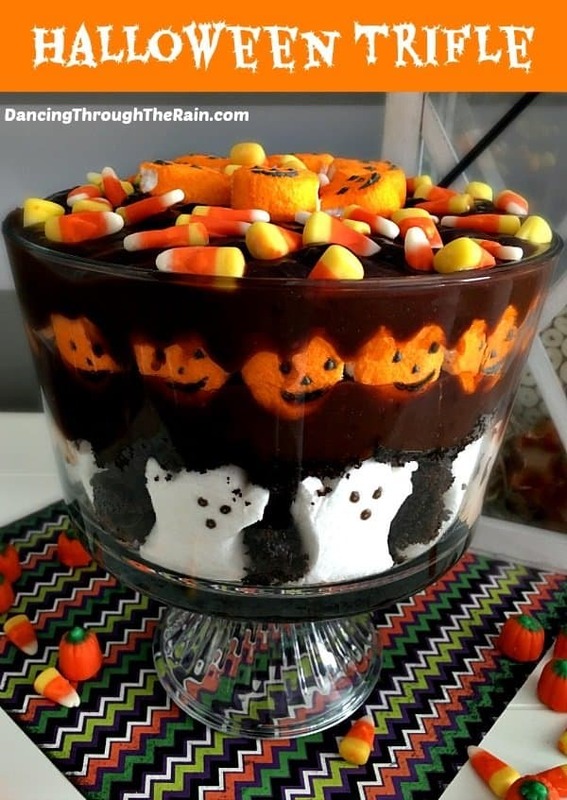 Place a layer of about 1/2 of your chocolate pudding onto your cake/Ghost Peeps. 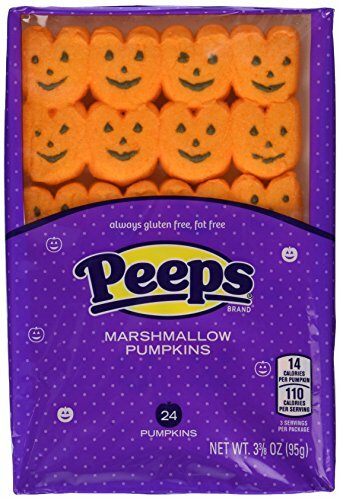 Now, line the sides of your trifle dish (on top of the pudding) with your Halloween pumpkin Peeps. 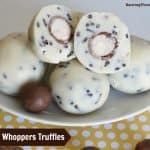 You'll want them to be standing up and facing out of the dish. 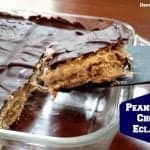 The 35 minutes of cook time and 20 minutes of additional time account for the time it takes to bake your cake, allow it to cool, and allow your pudding to set. Otherwise this is very quick to put together! I just made this and I think that there should only be 4 cups of milk instead of 6. 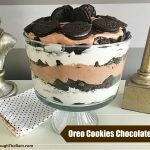 The pudding is not as thick. 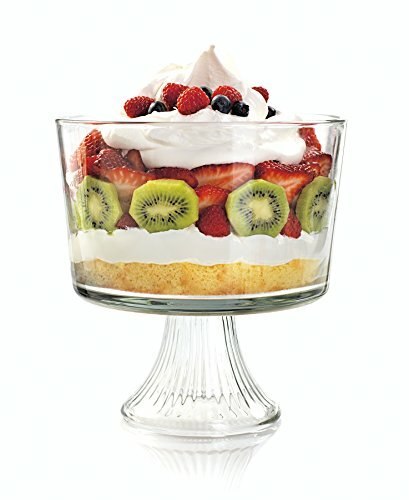 It gives way too much pudding when you use 6 and it turned into a big mess on top..spilling out onto the sides of the trifle. I’m sorry that happened Shaun! It does tend to depend on the specifics of the brand of pudding you purchase. Unfortunately each yields may yield a slightly different thickness.